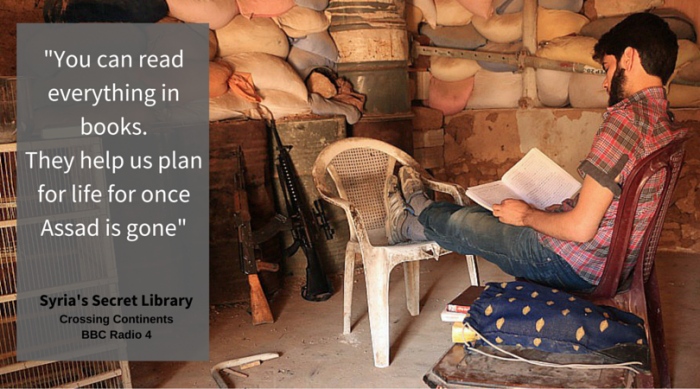 Books have long been considered a salve for the soul, but in Syria that has been made literal. In the Damascus suburb of Darayya, people are dodging bullets, shrapnel, and shells in order to reach a hidden, underground library stocked with volumes saved from bombed buildings. Accessed by descending a steep flight of steps into a dimly lit room of a damaged building, this secret library nourishes those who otherwise go hungry – it feeds them with learning, inspiration, and, crucially, hope. 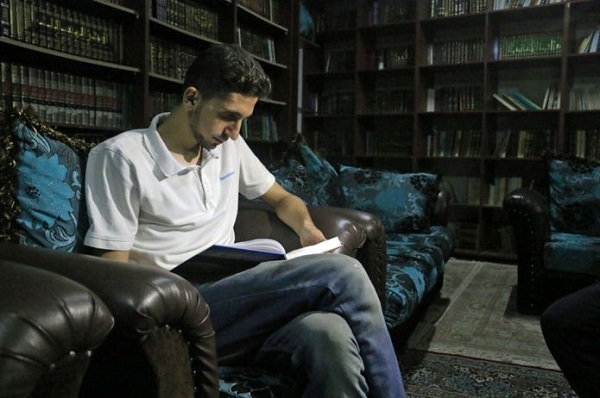 Largely founded by students in their mid-20’s whose education was interrupted by the beginning of the siege of Darayya nearly four years ago, the volunteers have gathered over 14,000 books on pretty much every subject. In that time, more than 2,000 people, mainly civilians, have been killed. 8,000 people remain in the suburb, from 80,000 originally: they cannot leave now. Speaking to Mike Thomson of BBC News via Skype at the end of July (a temporary truce having collapsed in May, barring the way for journalists to access the city), Anas Ahmad, one of the founders of the library and a former civil engineering student, accepted that their job is not an easy one: many of the books that stock Syria’s secret library come from shell-damaged homes on the front line. Retrieval is highly dangerous, especially when you’re being hunted by snipers. The library exists for more practical purposes than enjoyment, however. Hospital volunteers find how to treat patients from medical books in the library’s depths, untrained teachers find inspiration for lessons, and unqualified dentists learn how to do fillings and tooth extractions. Children will not be found in the library, as the way to and from it is too dangerous. 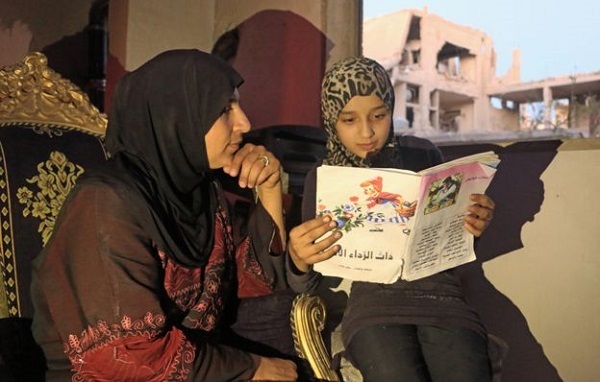 Older friends instead take out books to appease the boredom and hunger of Darayya’s younger, housebound inhabitants. 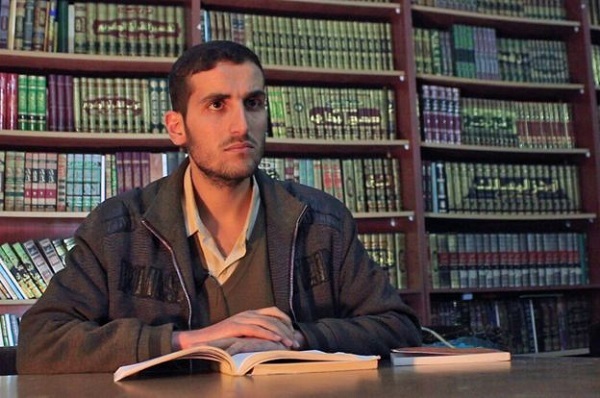 That said, the deputy librarian of the library is himself a young man: 14 year old Amjad lives next door and spends most of his waking hours there. 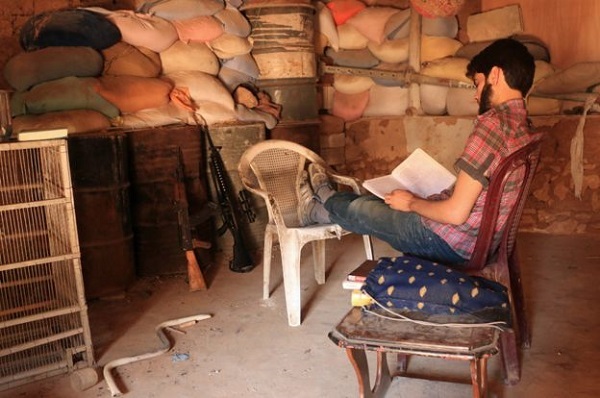 Even Free Syrian Army fighters are avid readers when not defending the town. Books are what motivate them. At each defense point, spaced circa 50m apart, a little collection of borrowed books will be found, a mini library for Darayya’s protectors. It seems books are a salve to the soul, indeed.